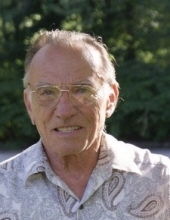 Celebrating the life of Arthur Ralph Miele Jr.
Obituary for Arthur Ralph Miele Jr.
Arthur R Miele, Jr., age 78, passed away on Friday, March 29, 2019 at home from natural causes. Arthur was born on July 9, 1940, in Newark, NJ. He graduated from Hanover Park High School 1958. Afterward, Arthur enlisted with the US Army and served as a Tank Commander in the Nation Guard with honorable discharge 1961. Arthur went on to become a self-employed New Jersey Master Plumber and worked throughout the northern counties of New Jersey, as well as anywhere else his work took him. Arthur joined the American Legion so he could talk with other former military members and make contributions to help our servicemen and women. He was also driven to preserve and catalogue historical documents and artifacts from U.S. history so the events and people would be remembered. Arthur is a past County Commander of Morris County American Legion. Arthur lived his life to the fullest and was never one to sit around. He enjoyed many hobbies over his life, but none of them ever measured up to his deep love for his family and friends….always expressing an interest in what was going on in the lives of others and never turning his back on anyone in need of a helping hand. Arthur’s ability to find humor in life’s events and tell a story that always left you smiling and laughing added to his charm. Arthur’s daughters and grandchildren were his pride and joy along with his wife JoAnn. Arthur and JoAnn enjoyed traveling with the roof open in his white corvette with Patsy Cline singing along the ride. Arthur was predeceased by his parents Arthur R. and Ester A. Miele and brother-in-law Richard Cowell. He is survived his beloved wife of 54 years JoAnn (Karol) Miele, his daughters, Dawn Christian and husband John J., and daughter Debra Trask and husband John D. Mother-in-law Mildred Karol, his sister Joan Cowell, His six grandchildren, Andrew Miele, Jack and Michele Christian, Emma, Madilyn, and Kailey Trask. Hours of visitation on Wednesday from 4-8pm at Doyle Funeral Home, 106 Maple Ave. Morristown (www.doylefh.com). Interment Thursday at 11:00am at Somerset Hills Memorial Park, Basking Ridge, NJ. In lieu of flowers, please make a donation to the Wounded Warrior Project. To send flowers or a remembrance gift to the family of Arthur Ralph Miele Jr., please visit our Tribute Store. "Email Address" would like to share the life celebration of Arthur Ralph Miele Jr.. Click on the "link" to go to share a favorite memory or leave a condolence message for the family.